Every digital marketer and business executive in the local news world should have a solid understanding of how their website is performing against their business goals. 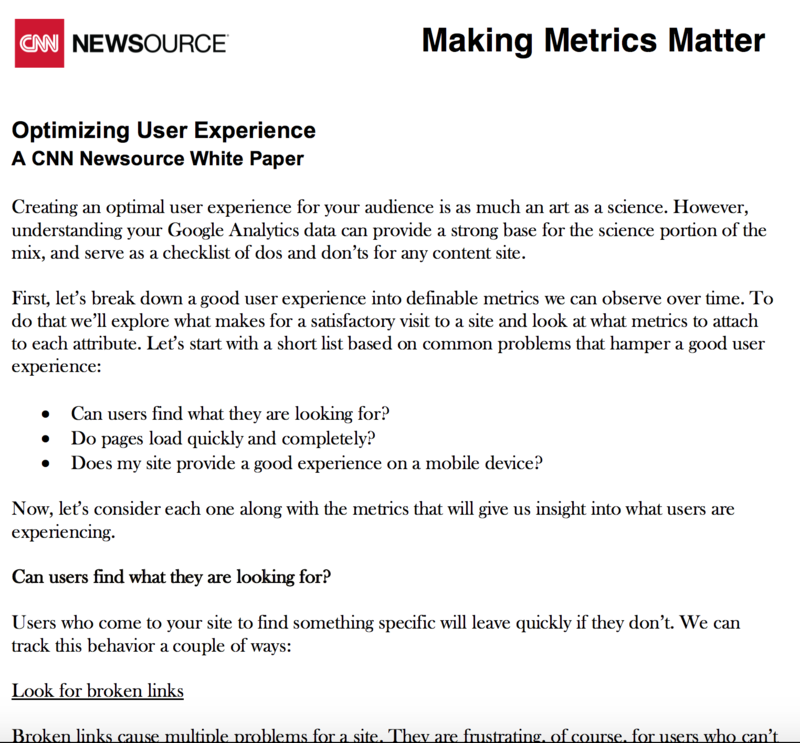 To that end, CNN Newsource created a series of explainers around key web analytics topics. 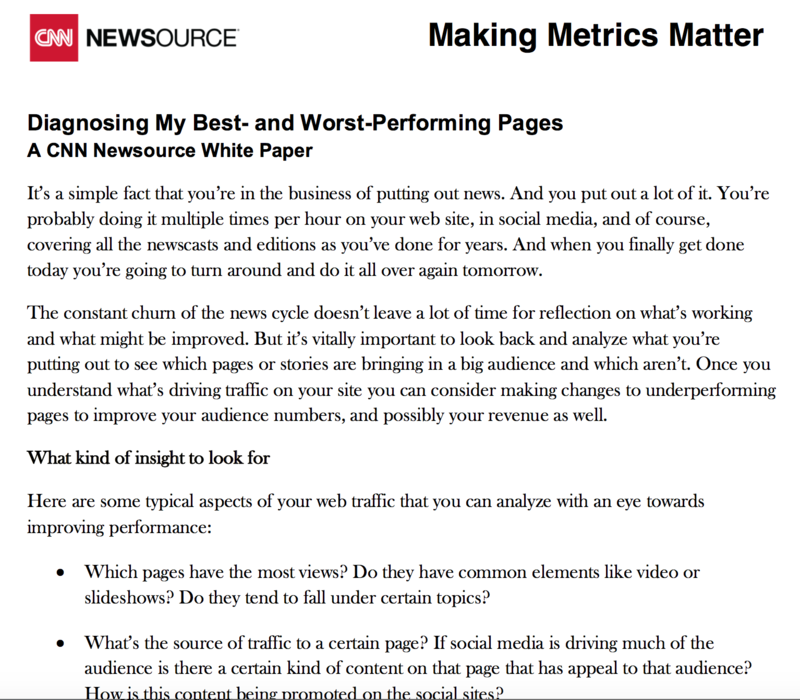 This series, Making Metrics Matter, will help non-experts gain a sense of comfort with how to use Google Analytics to measure their site’s performance. Each week for the next month, we will post a new topic answering a key business question. 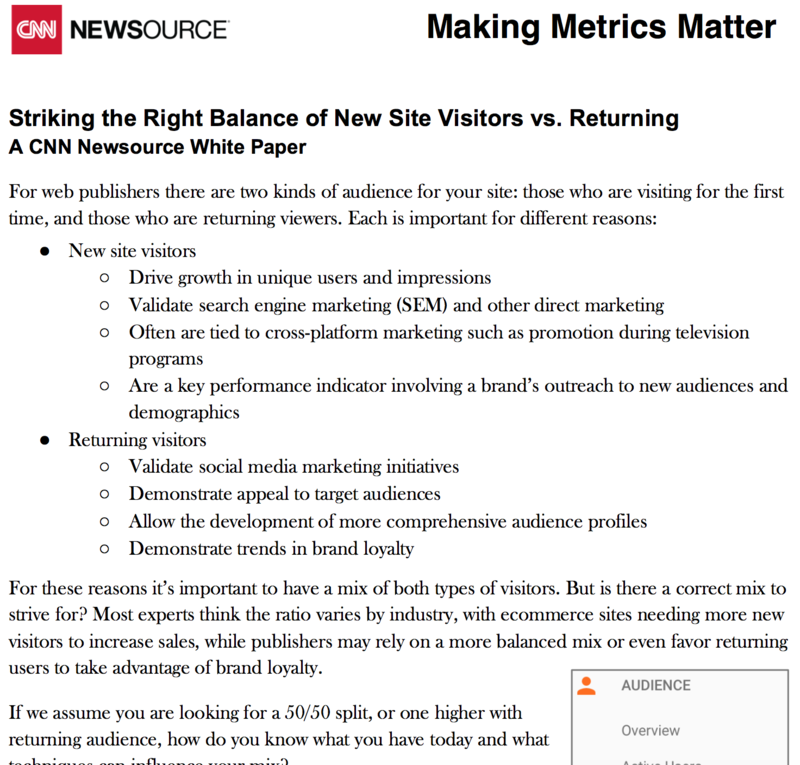 For web publishers there are two kinds of audiences for your site – first-time visitors and returning users. Both are important – here is how to better understand and grow each audience. The constant churn of the news cycle doesn’t leave a lot of time for reflection on what’s working and what’s not. But it’s vitally imporant to look back and analyze what you’re publishing to see which pages or stories are bringing in a big audience and which are not. Topic 3: Where is my traffic coming from? 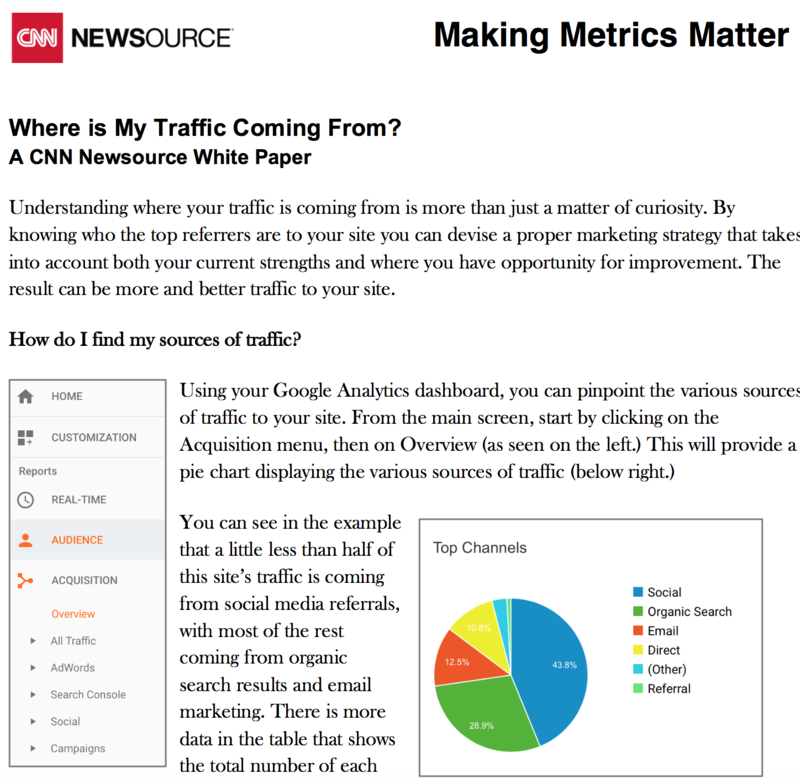 Understanding where your traffic is coming from is vital. Understanding the top referrers are to your site can help you devise a proper marketing strategy, taking into account your current strengths and improvement opportunities. The result can be more and better traffic to your site. Creating an optimal user experience for your audience is as much an art as a science. However, understanding your Google Analytics data can provide a strong base for the science portion of the mix, and serve as a checklist of dos and don’ts for any content site. Specifically, you should be able to answer these questions: Can users find what they are looking for? Do pages load quickly and completely? Does my site provide a good experience on a mobile device?